Complaints by anti Israel writers continue to point the finger at Israel (who else?) for the problems of water supplies to the Palestinians. Yet nearly all these claims are never backed up by facts. So let’s look at the recent comments and the real situation. a) Israel’s ‘discriminatory policies’ are to blame for the lack of water in Palestinian society. b) Israel uses the Joint Israeli Palestinian Water Committee (JWC) to veto and delay Palestinian water projects. c) Israel illegally exploits 90% of the shared water sources. d) Israeli is stealing water and destroying of water wells and treatment plants. These claims are full of distortions, outright lies and false accusations, and yet another proof of the PA’s intransigence. 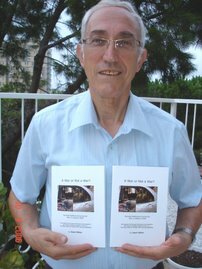 To answer these claims, Missing Peace,a European group www.missingpeace.eu obtained authentic papers documenting meetings of the Joint Israeli Palestinian Water Committee (JWC), and correspondence between Colonel Avi Shalev, head of the International relations branch of COGAT, and Dr.Atilli, the Palestinian representative. These documents paint an entirely different picture. In fact, the Palestinian Authority has been sabotaging the two-state solution by preventing the development of an independent water infrastructure for the future Palestinian state. a) Article 40 (14) in the Oslo Accords clearly states that all JWC decisions about water projects in the West Bank need mutual agreement. Once approved, JWC projects for the territories under Palestinian control (Areas A and B) do not need any further Israeli involvement. b) Projects in Area C, where Israel is in control, need approval from the Israeli Civil Administration (ICA). Since 2000 the PWA submitted 76 requests for permits to the office of the ICA. Subsequently 73 permits were issued by ICA and three denied because there was no master plan. c) In a letter of June 8 2009, Shalev responded to Atilli’s complaint that ICA did not honor a PWA request to issue 12 of these permits. Shalev wrote that these permits had already been issued in 2001, and that ICA wondered why the PWA did not execute these projects. d) Another 44 JWC-approved projects, the majority in Areas A and B, like the construction of a waste water treatment plant (WWTP) in Jenin that received approval in 2008 - have not been implemented. The German government has even withdraw a plan to build a WWTP in Tulkarm when it concluded that the PWA could not handle the project. e) When, back in November 2009, the PWA complained about a lack of funds, the Israeli government offered to finance water projects for Palestinian communities. The PA has yet to respond to this offer. Claim - Israel allocates only 10% of the shared water sources to the Palestinians. a) The water quota for the West Bank were mutually agreed upon in the Oslo Accords and 33% of the water in the aquifers under the West Bank is allocated to the Palestinians. b) In 1993 the Palestinians could pump up 117 million cubic meters and Israel would provide an additional 31 million. In 2007 200 million cubic meters were allocated to the PA, of which Israel provided 51.8 million. However, of those 200 million cubic meters, only 180 million were actually used. c) The main reason for this is that the PWA did not implement projects in the Eastern aquifer that would have solved much of the Palestinian water crisis. More than half of the wells approved for exploitation of the Eastern aquifer have still not been drilled. The permits were issued in 2000.
d) In a letter written on April 4, 2001, the civil administration urged the PWA to execute these projects. A letter from June 8 2009 repeated that request. Claim - Palestinians are limited to an average of just 60 liters per capita per day. In 2009 Atliil’s own PWA published a report that mentioned an average supply of 110 liters per capita per day. a) In fact, Palestinians steal millions of cubic meters of water per year by drilling illegal holes into the water pipes of the Israeli water provider Mekorot. The Civil Authority fixes 600 of these illegal taps each year. Furthermore, since 2008 Israel has asked the PA to re-establish the joint JSET water patrols that fought water theft before the Al Aksa intifada. The PA has refused. b) Another reason for the loss of water is the poor maintenance of the Palestinian water infrastructure. A staggering 33% of the fresh water supply gets lost because of leaks, theft and poor maintenance. In fact, the bid for UN recognition of a state without a peace agreement, and the way the PA deals with Israel regarding water are part of the same campaign. The goal of that campaign is, as Mahmoud Abbas pointed out in his infamous NYT op-ed, the continuation of the conflict by different means. By now it has become clear that the use of water as weapon is one of those means. Don't Bother Me with Facts !! A friend who I recently had contact with has put this problem in verse, which I would like to share with you. And print all the words of the slogans and chanters. Give the ranters their due, they’ve been far from idle. But the facts that belie them, we’ve yet to see. For the simple facts to set the record straight. I think the following letter by Rachel Saperstein, Neve Dekalim/Nitzan in Gaza is worth reprinting, since we tend to forget just how the 8000 Israelis expelled from Gush Kativ are still struggling to get their lives together. The plan was that this should bring peace to the area but we have seen now how it has created just the opposite. She writes "I’m still paying the mortgage on my house in Gush Katif, the house our government destroyed, and now we've added the mortgage on the house we are building in Nitzan," K says to me. We are sitting in the Nitzan Library. We speak softly. After all, we are in a library. My visiting grandchildren are selecting books. There is a lingering sadness in each of us. The burden of the expulsion weighs heavily upon us. Despite the saying 'time heals all wounds' apparently the wound of being forcibly removed from your own home by your own people lays open and continues to fester. K talks about her sense of loss. "Rachel, I feel as if I'm going through another expulsion. My neighbors in the refugee camp are moving away. Their caravilla is removed from the site as soon as they leave. I experience a sense of loss as good friends leave. I know they are moving to permanent homes but I feel the pain of eviction once again. I tremble when I see the empty space that once was a home. I can't seem to pack my belongings. Having to pack once again leaves me with a sense of dread." "My two sons are in the army" K continues as she pulls out their picture. They are officers in combat units. "Last week there was a knock on my door. It was my younger son's commanding officer, with a group from his platoon. I froze in terror! 'Has something happened to my son?' I cried. 'Your son is fine' he smiled. 'We've come to help you pack'. Though my heart was pounding, I forced myself to calm down and began to give the soldiers instructions." There is an ambivalent reaction to our soldiers. Six years ago they came to evict us. This time, as we slowly get ready to move again, they come to help us pack. But moving leaves us with a sense of sadness as we say a temporary goodbye to our dream of returning to Gush Katif. I hugged K. The grandchildren had selected their books and are ready to return to our caravilla for lunch. Last night I took a walk around the area. The caravillas that we have called home have begun to disappear. Fields of weeds have taken over. Where homes remain gardens are increasingly neglected. We who are moving to Lachish still have a long wait as building has yet to begin. We are waiting for our Housing Committee to make a final choice of builder. We are depending on the Committee to make a proper choice, a builder with a good track record. There is also the choice of the contractor for public buildings. We cannot move people into a largely unpopulated area without synagogues, a supermarket, a health clinic, kindergartens and schools. So we wait. As we complete six years of expulsion this Tisha bAv we contemplate the irony that the stories of expulsions on this terrible date for the Jewish Nation will now include the expulsion of Jews by Jews. A medical team from Israel’s Save a Child’s Heart has successfully performed the first ever pediatric open heart surgery in Mwanza Tanzania and on the youngest child in Tanzania. Laurencia Simon is four years old, the daughter of two farmers, and lives in a mud hut without electricity or running water. Two years ago she was diagnosed with congenital heart disease. Due to a lack of infrastructure, finance and training, doctors in Tanzania are unable to perform open heart surgery on such young children and so they were unable to help her. After hearing an announcement on the radio she and her mother settled into a three hour bus ride to Mwanza as they knew the only hope for Laurencia’s very serious heart condition was to receive care from the Save a Child’s Heart medical team. After a long surgery Laurencia was recovering well. Save a Child’s Heart doctors and staff worked in collaboration with the staff at the Bugando hospital in Mwanza Tanzania and Kasbian Nuriel Chirich, Honorary Consul to Israel in Tanzania, to prepare for this moment. And all the hard work paid off, as children with heart disease came from across Tanzania to be examined by the Save a Child’s Heart team of doctors. 8 to 10 pediatric heart surgeries will took place Tanzania. The rest of the children who need operations will be flown to Israel’s Wolfson hospital this upcoming year – with all expenses paid by Save a Child’s Heart. Once the surgeries are completed 13 volunteers and supporters for Save a Child's Heart will climb Mount Kilimanjaro, Africa’s highest peak, to raise $1 million dollars in order to save the lives of another 100 children in Africa suffering from heart disease. Amongst the climbers is Dr. Godwin Godfrey from Tanzania. He has been in Israel the past three years training with Save a Child’s Heart at the Wolfson Medical Centre. Dr. Godfrey assisted in the historic pediatric open heart surgery and will take part in all the surgeries in the coming week. Since its inception in 1996, the Save a Child’s Heart medical team treated over 2,600 children from 42 countries, including the Palestinian areas and Gaza, and has examined and evaluated more than 6,000 children. For more information, please visit www.saveachildsheart.org . Israel is constantly being depicted as reluctant to enter negotiations with the Palestinians. The so called “peace partner” Mahmoud Abbas is touted as being the “best” partner possible. If we look at the way the Palestinian Authority are “preparing” their people for peace, then one has to wonder whether this partner is just an illusion or wishful thinking. In the article we have chosen below, from Palestinian Media Watch http://www.pmw.org.il/main.aspx?fi=433 we see that the PA depicts a world without Israel. Further, with the uncertainty surrounding our region, who is to say that Hamas will not take over Judea and Samaria in the foreseeable future. "Palestine’s war ended with a catastrophe that is unprecedented in history, when the Zionist gangs stole Palestine … and established the State of Israel." The official PA map of "Palestine,” depicting Palestinian rule over all of Israel, was used in an official PA TV public service ad that ran daily for 3 months, Oct. – Dec. 2007. Similar maps presenting all of Israel as "Palestine" appear in Palestinian schoolbooks and are shown regularly on PATV. PA TV for children: Israel is "the Interior" and the "the '48 interior"
The Israel Circus School runs multicultural programs to bring Jewish and Arab schoolchildren together. If you're swinging from a trapeze or performing a risky acrobatic stunt, you've got to have total faith in the teammate entrusted to synch with you. And so, reasoned Hanita-Caroline Hendelman, circus training could provide a perfect - and perfectly offbeat - setting for building bonds between all cultures in Israel. "Seven years ago, I initiated the project of having classes from Jewish and Arab schools meet through circus to foster dialogue," says Hendelman, director of the Israel Circus School and the Association for the Development of Circus Arts in the Galilee town of Kfar Yehoshua. Three years ago, she began working with multicultural youth at risk, too. "We try whenever possible to mix groups of different cultures," she says. "My main interest is how we employ the arts in social healing. I don't mean art or drama therapy, but art in its fullest form. I think art has the biggest potential for healing that I know of, and the Israel Circus School is a fully artistic and professional school for adults, youth and children. They learn to be creative, responsible, artistic members of the community, but as part of their training we involve all our students in our various multicultural projects." Under the banner "Circus Arts for Social Change," she is now creating a local and international network of circus artists and supporters interested in building a new socio-political agenda "to find innovative and creative means of resolving conflict situations and setting up new social priorities towards creating a society that cares, honors and respects all its members." Hendelman launched this initiative with an international multicultural youth circus convention, July 19-21 in the mixed Arab-Jewish city of Acco (Acre). The event is called "Climbing Walls," at the suggestion of her co-founder and artistic director, David Berry. "The bottom line of it all is conflict resolution. No matter where we are, there is always the potential for conflict within ourselves and with our neighbors, and these conflicts are the walls which then spread to cultures and nations," says Hendelman. "We need to start climbing these walls. This project is only a pebble, a first step to what I envisage as building a new socio-political agenda in all aspects of life." While learning skills including acrobatics, juggling, unicycle-riding, clowning, dance, drumming and improvisation, Israel Circus School students are also learning to rely upon each other and communicate in word and action. Hendelman has said that this setting is an excellent medium for breaching emotional barriers. "It forces you into a situation of working with one another. You need to touch, and you need to support one another." Initially arriving with feelings of bias and fear, Arab and Israeli kids - accompanied by their teachers - very quickly relax as they work together to master challenging physical feats. By the end of the day, Hendelman sees many of the students exchanging email addresses and telephone numbers. Endowed by British benefactors, the Israel Circus School depends on grants. It works closely with other Israeli circus schools and organizations, such as the Galilee Circus sponsored by the Galilee Foundation for Value Education; Circus Maghar in the Druze town of Maghar; and Efshar Acheret (Another Possibility). Groups of advanced students have performed at Israeli festivals such as the Acre alternative theater festival and the Jacob's Ladder Folk Festival, as well as in Germany and Turkish and Greek Cyprus with a grant from the European Union to create a circus program for Jewish, Muslim and Christian children. In February, the Israel Circus School was invited to entertain the crowd at the Israeli professional basketball finals in the Nokia Stadium in Tel Aviv. The origins of the school go back to 1992, when Berry, an Australian immigrant, created a street theater group for youth in Kiryat Tivon. After several successful performances in major Israeli festivals, the group started evolving toward circus arts and invited a master acrobat from the Moscow State Circus to come aboard as one of five teachers to open a circus school in 2000. Two years later, Berry and Hendelman created the Association for the Development of Circus Arts in Israel, a non-profit, charitable organization, with the goal of turning the Israel Circus School into a professionally run training center. They moved to a renovated village hall in Kefar Yehoshua in 2002 and won the ongoing patronage of Arthur Vercoe Pedlar, former World Clown Association president. For the past six years, the association has participated, along with Circus Maghar and a circus school in Nablus, in summer circus workshops held at Berlin's Circus Shake. "It's sad that we need to travel all the way to Berlin to work with our colleagues in Nablus," Hendelman comments. Two years ago, the three of them became inaugural members of a new European-Middle East federation of youth circuses, which will have its second annual convention and show, Comedy Shake, later this summer. Participants are also coming from Finland, England, Spain, Germany, Italy, Morocco and Egypt.